Having a claim for Social Security benefits denied is stressful and upsetting. You’ve likely already suffered through some hard time because you cannot work due to an illness or injury and now the claim is denied. This can seriously affect your finances, especially if you are not yet cleared to return to work by the doctor. There is a time limit for appeals of denied Social Security claims. You are required to have your appeal filed within 60 days of the claim being denied. If you receive notice from the local Social Security office via mail that the claim was denied the deadline to file an appeal is extended to 65 days. Take note that if you truly do not qualify for the benefits you should not apply for them as your appeal will also be denied. What is Needed to File the Appeal? If you are appealing the decision made by the Social Security Administration on your initial claim you will need to file Form SSA-561-U2, which is known as the request for reconsideration. You will also need to file Form SSA-3441-BK if you are appealing the denial of disability benefits. 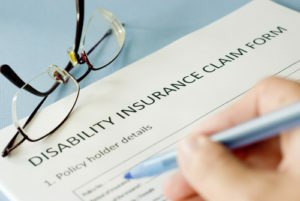 Were you already receiving disability benefits and the agency came to a decision to stop issuing them? If so, you will need to appeal this decision using Form SSA-789-U4 along with Form SSA-3441-BK. You will need to provide your personal information, including your name and Social Security number. The forms will also require you to explain the reason(s) why you believe you should not have been denied in the first place. This can be done by attaching a report from your doctor that explains why you are unable to work. You might also consider asking your employer to include a letter that describes the work you put in for the company and your length of employment. There are various levels of appeal when it comes to the Social Security Administration and benefits claims. The first of these is the reconsideration stage. This review is quick and takes place at your local Social Security office or the office where the claim was originally filed. The second appeal takes place in front of an administrative judge. The judge reviews the ruling from the local office. The third appeal level occurs when you move your appeal to the Social Security National Appeals Council, which is located in Washington, D.C. The fourth, and final appeal level, occurs when you file a lawsuit in federal court to obtain your benefits from the Social Security Administration. Have you recently been denied benefits by the Social Security Administration? Do you believe that this was a mistake made by the agency and that you are seriously injured or ill? If so, it’s in your best interest to contact Team Law in New Jersey to schedule a consultation. Walter J. Curtis | NJ Social Security Disability Lawyer | Team Law from NextLevel.com on Vimeo.